After the decision for a new system, broadcasting or TV station will contract a system integrator to work out a plan for the cabling as well as the matrix and keypanel installation. When working on a plan for the installation of a new system in a new building, system integrators have access to the building at an early stage and cables can be laid as required. In the case of replacements however, a system integrator will have to devise a system for an already existing building - taking into account already present installations of other equipment. In these cases, already existing old intercom cables will have been removed out of the cable channels and cable trays and new cables have to be pulled throughout the entire building. In the course of these works, the floors, ceilings and walls will have to be opened and fire protection needs to be removed and renewed. Additionally, for all keypanels cables, connectors will have to be crimped or soldered, tested, and measured for protocol. All in all, replacing an existing intercom system brings with it a lot of labour costs, a lot of time and results in a lot of dust and dirt. Of course, this is manageable and many intercom systems are replaced in this way. However, along with the labour costs and dirt and dust in the operating facility, system integrators will have to consider two further facts. Older technologies often require a lot of rack space and many racks need to be installed. Additionally, the distributed matrix topology is limited due to limited cable length. With equipment using the networking architecture OMNEO, RTS provides a solution for this situation. 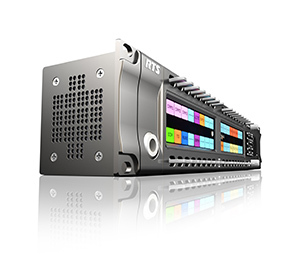 OMNEO allows the transport and easy control of audio and other data over IP networks. Thereby satisfying highest levels of sound quality as well as synchronization whilst ensuring lowest levels of latency in a highly reliable and secure set up. Due to the use of standard IT components, this results in a competitively low system cost as well as a lower installation and maintenance cost. OMNEO is based on two key technologies: the media transmission component Dante from Audinate Pty, Australia, and the system-control component OCA (Open Control Architecture). It provides highest interoperability, flexibility, reliability and future-proof technology by utilizing an open public standard. Using OMNEO, replacing existing intercom systems does not require extensive building works as IP cables are normally already installed. In modern buildings currently under construction, IP cables are generally included. In both cases, new matrices and keypanels simply need be connected to an existing IP network - either by star wiring to the nearest switch or by daisy chaining from the neighboring keypanel. 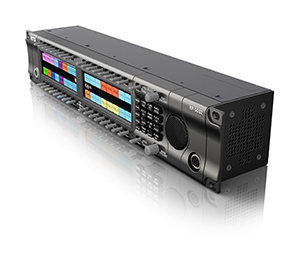 A further benefit: keypanels in studios can be connected to any IP connection such as a connection box within the network. Using a device name-based setup, each keypanel will automatically find its way to the right port. The required audio signals for IFBs can be received either from the audio router or directly from the Dante-compatible audio mixing desk as well via the IP network. With the KP-Series, RTS has launched its first keypanel family with OMNEO technology on board. The new keypanel series combines Dante compatibility for high-quality sound and ultimate flexibility with high-resolution colour displays and multifunction levers for single key operation. Backwards compatible with existing RTS analog matrices and forward compatible with future-proof OMNEO open IP architecture using Dante transmission protocol, RTS KP-Series provides a future-proof investment. Also existing RTS intercom systems can be converted into an OMNEO system. RTS ADAM OMNEO interface cards transform an RTS ADAM intercom system into a flexible, IP-based intercom network. The product range consists of the RTS ADAM OMNEO card for the ADAM and ADAM-M intercom frames (OMI) and a user station interface card for select RTS keypanel models (OKI). Supporting up to 64 ports each, the OMI card reduces the required rack space considerably. Both these cards fully update the connectivity of these RTS intercom products to be fully IP compatible. At the same time, the additionally available OMNEO External Interface-2 (OEI-2) enables connectivity between analog audio sources, legacy RTS keypanels and an OMNEO network. All these allow users to maintain existing infrastructure and the equity of their original equipment investment while updating to high-performance OMNEO media networking architecture. Whether updated system or new installation with KP-Series keypanels, the result remains the same: Less cabling, less hassle, less rack space required and no dirt or dust.